The 2019 Staffordshire biker booklet is currently being printed but you can obtain a copy at the Stafford bike show in the next few weeks & throughout the biking season over the coming months of the month, but if you would like a sneak peak you can download an online digital copy. Copy the link into your browser or feel free to share. 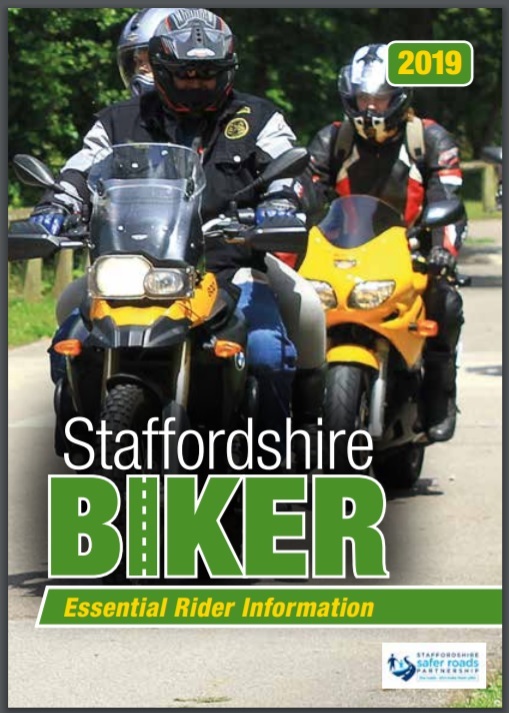 As before you can find tips including all the information about the Bikers breakfast, Ride it right routes, bikesense, pre CBT & also the Biker jack / young riders Campaign & the bikers information you’ll need for the Staffordshire area. In addition you can also see who is involved with Staffs Biker or discover what is available in the way of courses & tuition for first aid or improving your skills.